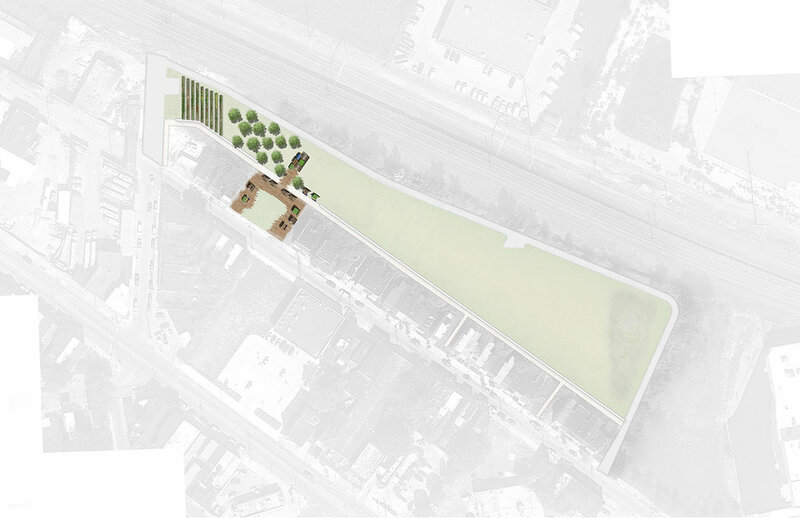 Working in partnership with the Community Design Collaborative, Hinge Collective developed a vision plan for The Urban Tree Connection (UTC), A Philadelphia Non-Profit focused on revitalizing urban vacancy in marginalized neighborhoods through urban agriculture, to transform a 3.6-acre site of a former milk distribution plant in West Philadelphia into an urban food producer’s cooperative. 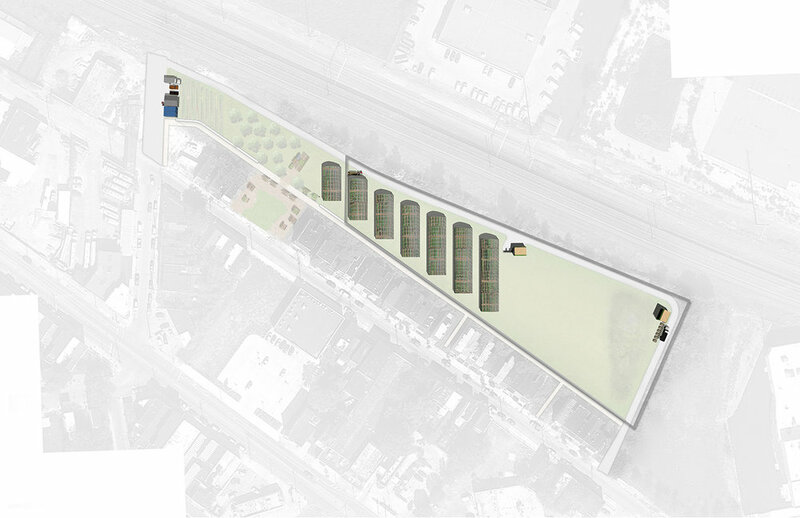 The conceptual master plan offers strategies for growing fresh produce and managing stormwater runoff without disturbing the soil on this former industrial site. 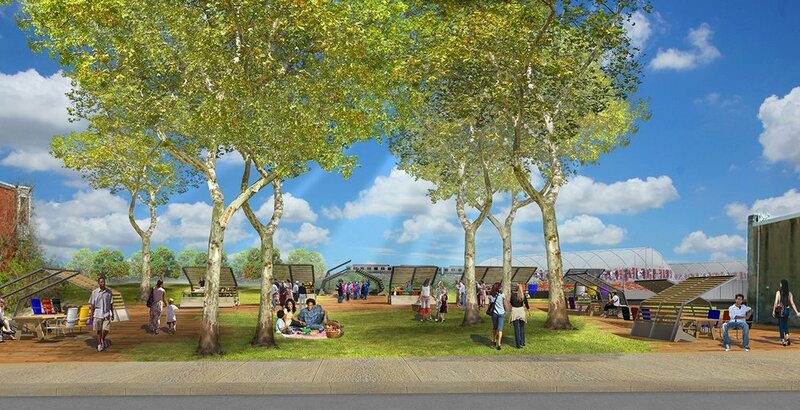 It also proposes amenities like an educational pavilion, community gardens, and farm stands to promote helpful eating and activity. This plan allowed The UTC to raise funds to begin to realize this space.